Update: the event has finished, you can now read the egg-free recipes! 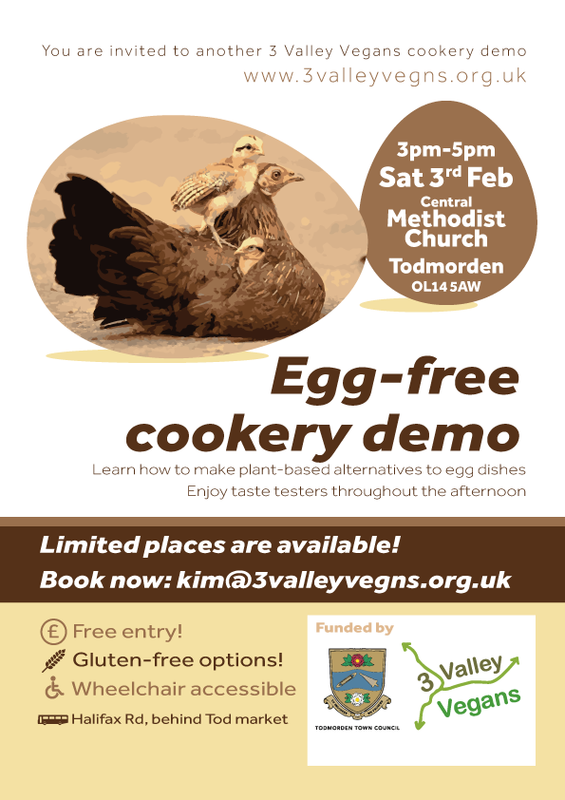 You are invited to another 3 Valley Vegans cookery demo! Learn how to make plant-based alternatives to egg-dishes. Enjoy taste testers throughout the afternoon. 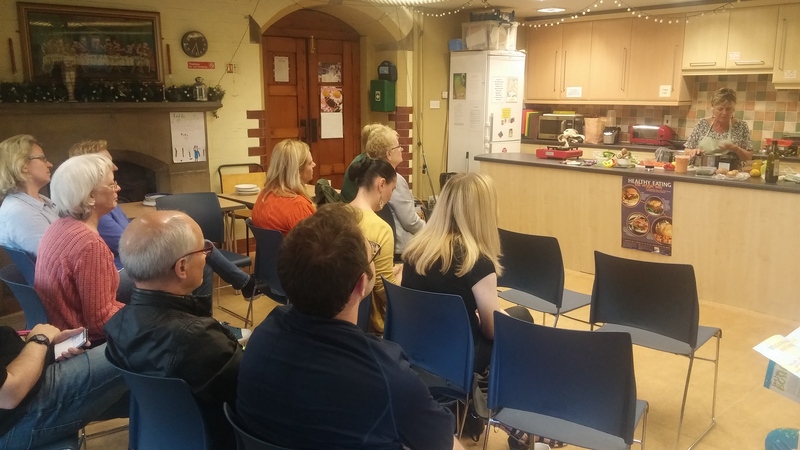 Vegan cheese cookery demo in Todmorden. 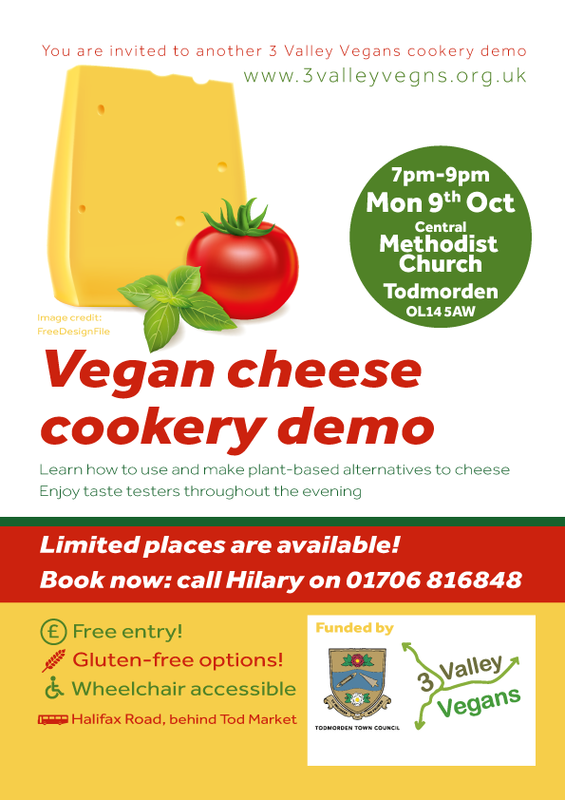 Learn how to use and make plant-based alternatives to cheese. 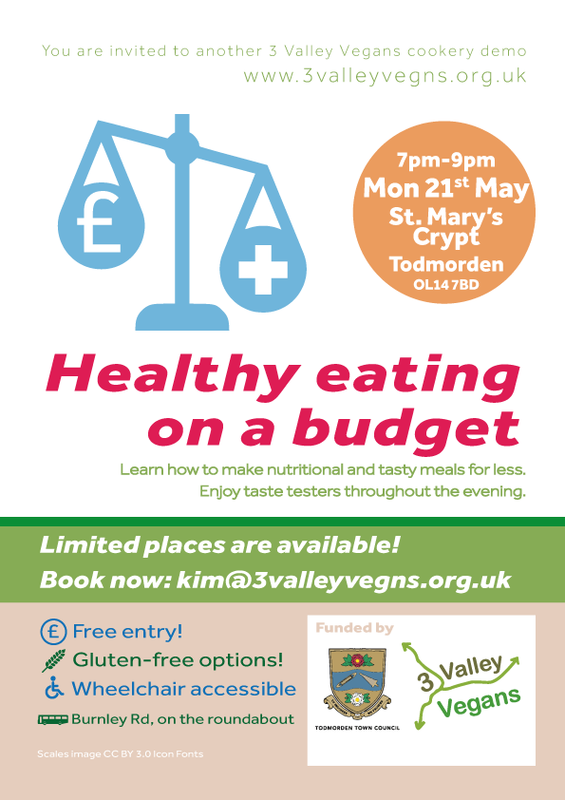 Enjoy taste testers throughout the evening.